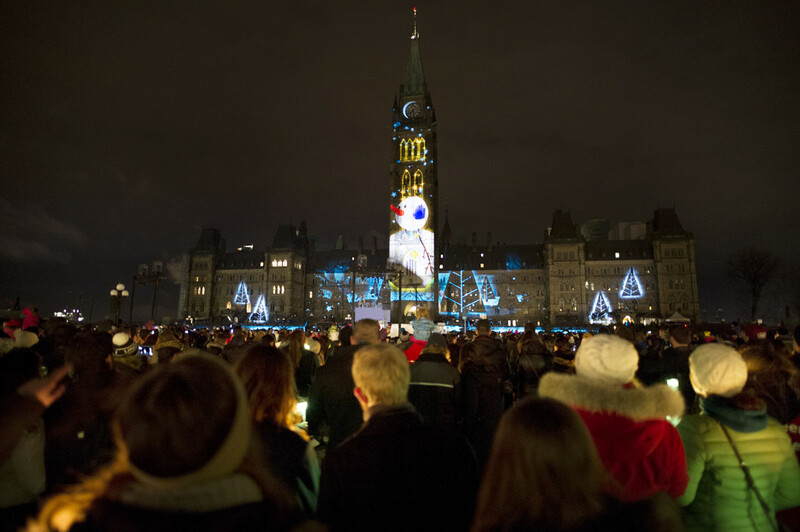 A ceremony was held on Parliament Hill Wednesday night to kick off the start of the Holiday Lights show which runs until January 7th. 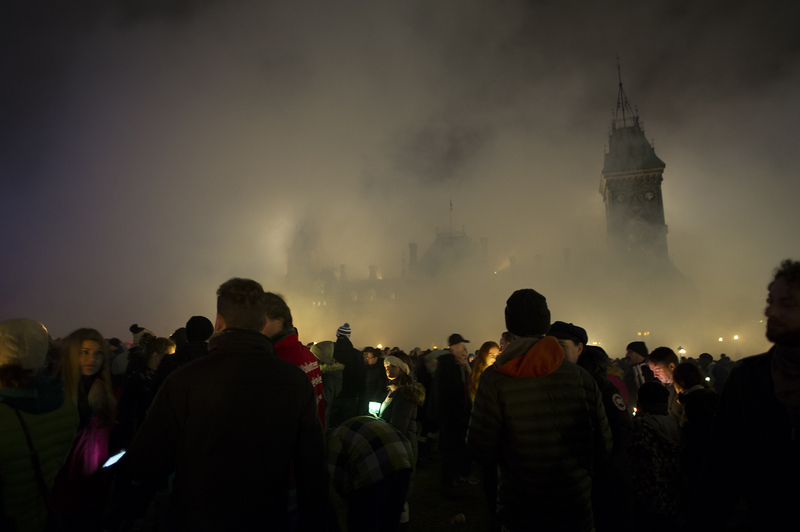 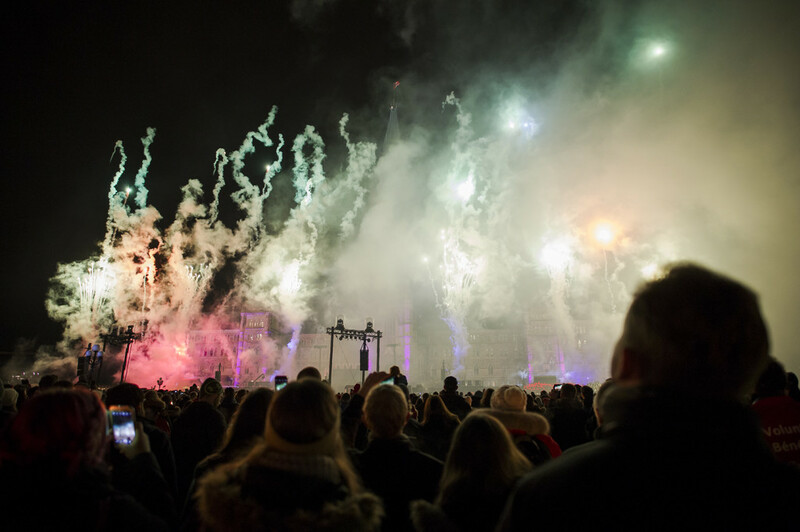 A fireworks display to mark the end of the ceremony created a plume of smoke which completely covered the Parliament Buildings and the stage for several minutes. 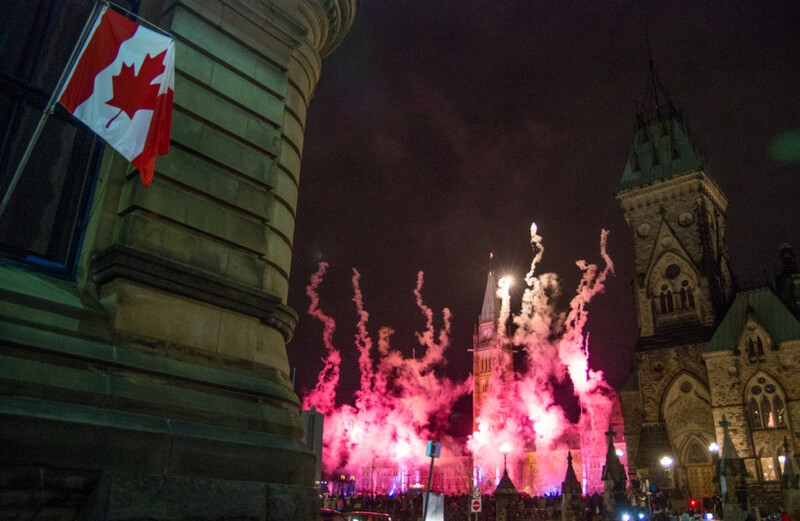 December 2, 2015.